Schema markup is more than recipe steps and rating stars. Most people implement schema markup (aka structured data) because of the enhancements it can provide in the appearance of their Google search results: review snippets, knowledge graph logos, video carousels and, yes, rating stars to name a few. 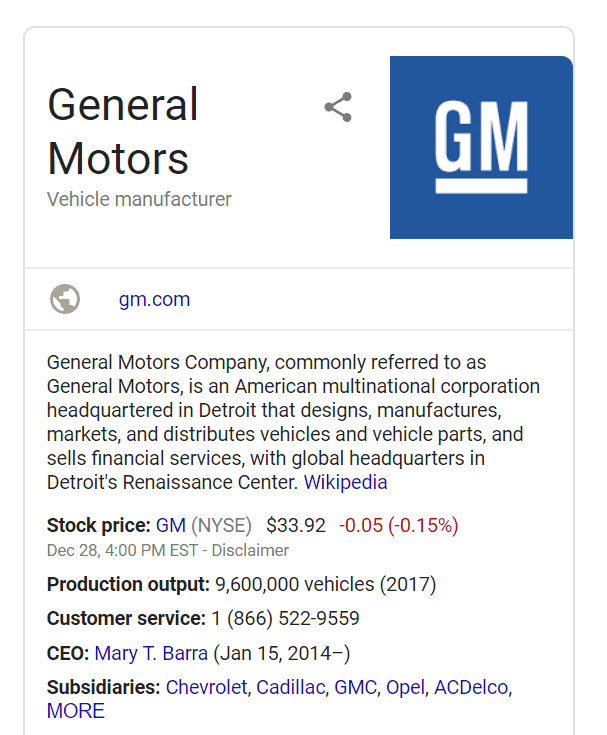 Structured data can indeed transform your search results from a boring blue link to a rich result with visually-striking elements. While there are over 600 types of schema markup you can implement, not all of these lead to enriched Google search results. Currently 28 different types of rich results are powered by schema markup and structured data. In this article, we’ll walk through each with a screenshot, description, and links to official documentation from Google and Schema.org. 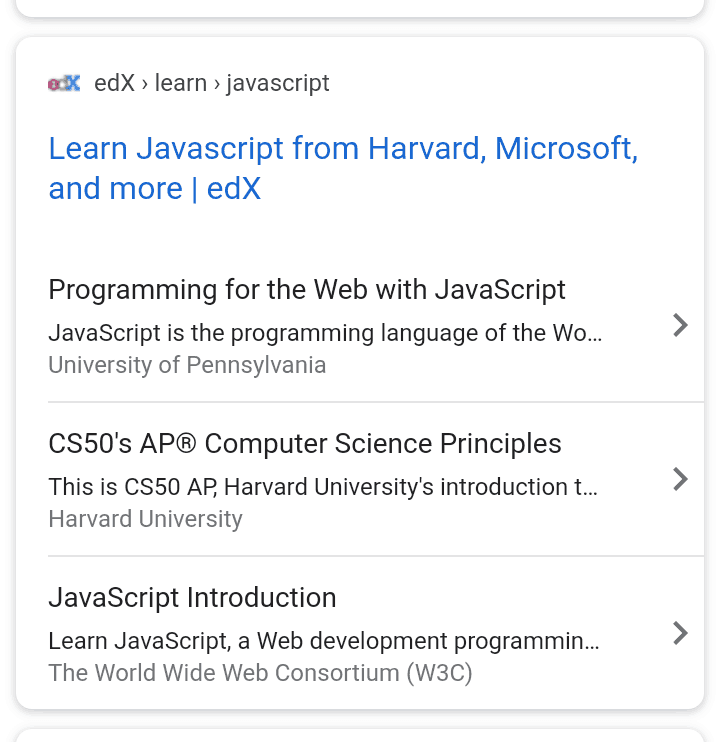 Note that adding these JSON-LD objects (the recommended method - see our getting started with structured data post) to your site doesn’t guarantee that Google will bestow you a rich result or featured snippet but it will make you eligible for one (see reasons your schema markup may not be showing in search). And even if you don’t get a rich result, it’s probably worth the work to signal in a meaningful and legit way what your page is about so Google can rank it accordingly. Without further ado, here are 28 rich results found in Google powered by structured data. Yes, you can even mark up a standard article. Include structured data on author, headline, image, date published and more. 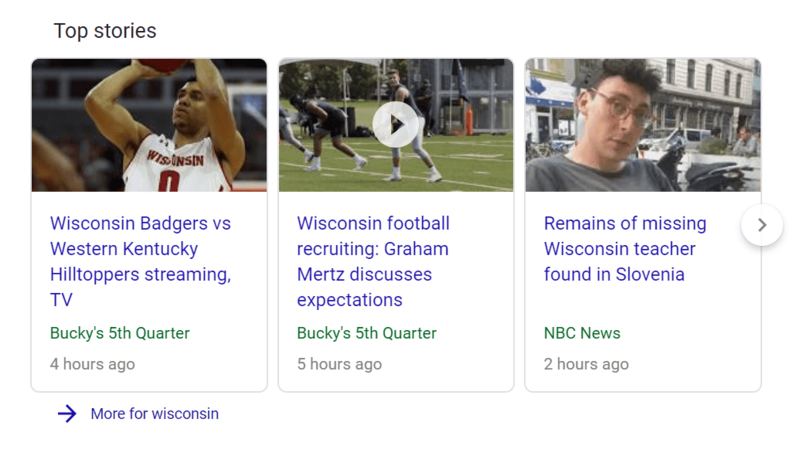 This will tell Google explicitly the main details of the article instead of having them guess based on what they automatically pull in from a crawl. When you implement this Schema markup, you are more likely to have a rich result and be featured in the top stories carousel. For more information on the exact markup, check out the following documentation. If you wrote a book or are a publisher, you’ll want to mark up your book product pages. 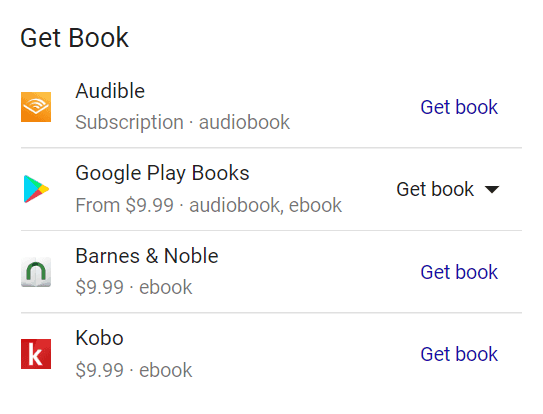 In addition to providing information such as author, ratings and edition, a main business benefit is markup can lead to a “Get Book” call to action so people can start the buying process right from Google search results. This is a pretty subtle one. All search results have the familiar green link. 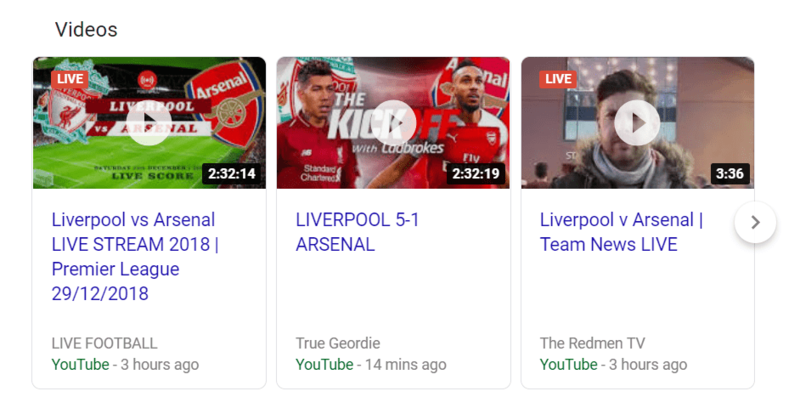 People deciding whether or not to click through on a result may quickly look at this link for clues to see if it looks like it’s a good fit and worth a click. A better option is displaying a breadcrumb-style link powered by schema. This will instead show a hierarchy of pages and categories that lead to the page. It can be a more descriptive and simpler way to show people where they are navigating to and what to expect. Carousels are a rich result that feature 3 or more carousel cards right in a single search result. To be clear, we are not talking about the more-common top stories or video carousels. These carousels are contained within one search result and are for a single site. These usually show up only in mobile searches. For example, a carousel could show a list of blog articles or chicken recipes from your site. Even if Google doesn’t show this rich result, implementing it will also make your site eligible to appear in multi-site carousels. The large information box often seen to the right of desktop search results is called the knowledge graph. It commonly includes organization information such as a customer service number. Google may find this number by crawling your site by why leave it to chance? 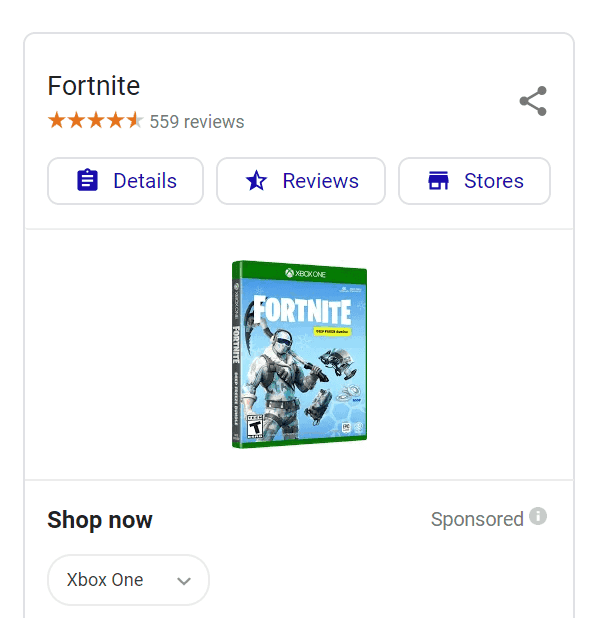 Adding a phone number to this rich result via schema structured data is a more effective method. Mark it up! Online courses shown in search can be enhanced with structured data and schema markup. In the search results, Google may show a special area highlighting the course name, the organization offering it as well as a brief description. If you review movies, books or local businesses, consider implementing Critic Review (by the way, these are the only 3 review types currently supported). The Critic Review rich snippet provides a 200-character excerpt from a longer review along with reviewer name, rating, and publisher name and logo. They really pop in the search results are a great way to bring attention to your critiques. Don’t confuse with Review Snippet which we cover below. If your site has large data sets (like a CSV or XML files, for example), there is actually a schema markup for that as well. You can tell Google information such as file format, keywords, description, creator, and more. Once implemented, Google may call out this information in a rich result right in the search results. This feature is in pilot so not a lot of rich results of this type currently but it seems Google is looking to roll this out more widely in the near future. I’ve never seen this one in the wild but it exists! The Employer Aggregate Rating structured data is specifically for sites like Glassdoor or Indeed that collect reviews of employees on their employment experience. 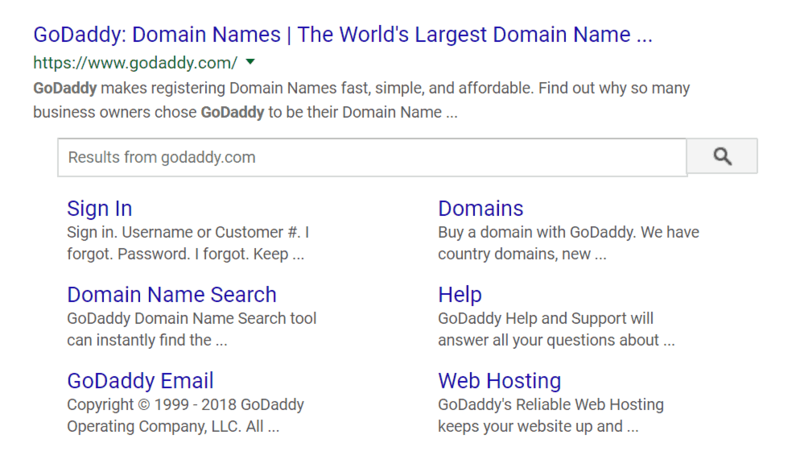 Once you implement this schema markup, your site’s name along with rating stars and the number of reviews may show up directly in Google search results. If people want to learn more, they can easily click through to see all full reviews on the original site. Event rich results are a great way to get additional awareness for your upcoming events. The Event search feature prominently displays events in Google search. 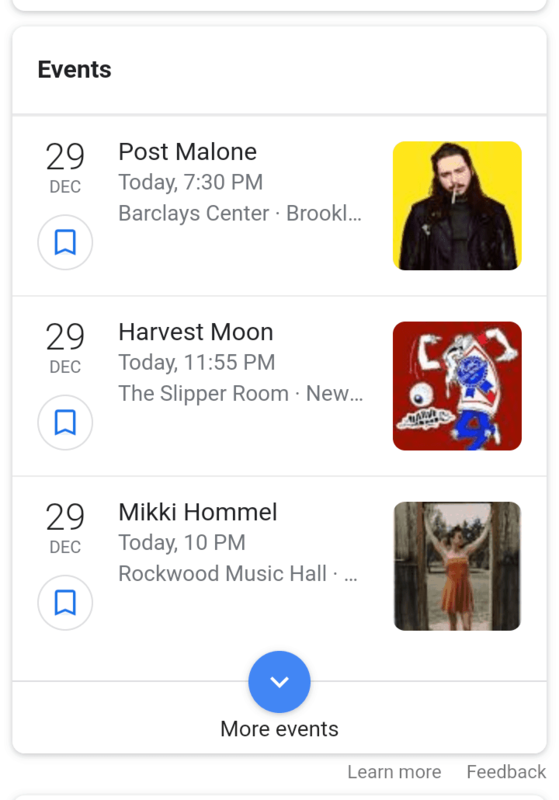 Tell Google date, time, location as well as other details to become eligible for these special event listings on Google. This one probably doesn’t apply to many of us but if you have a site that fact checks (like factcheck.org), you can actually markup that content with specifics. 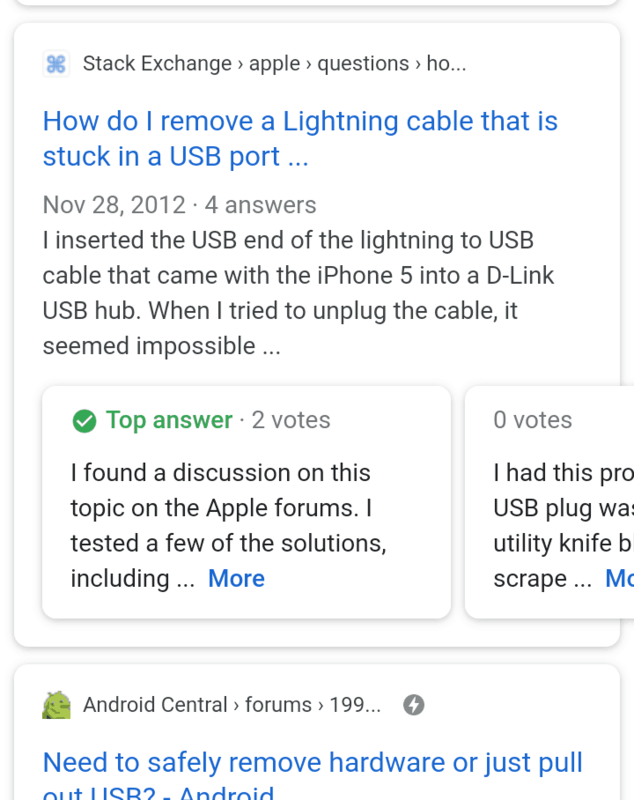 Once the Fact check structured data is in place, the claim, who claimed it, and fact check result with source link can be displayed in the SERP (search engine results page). One of the largest and most prominent rich results are job postings. 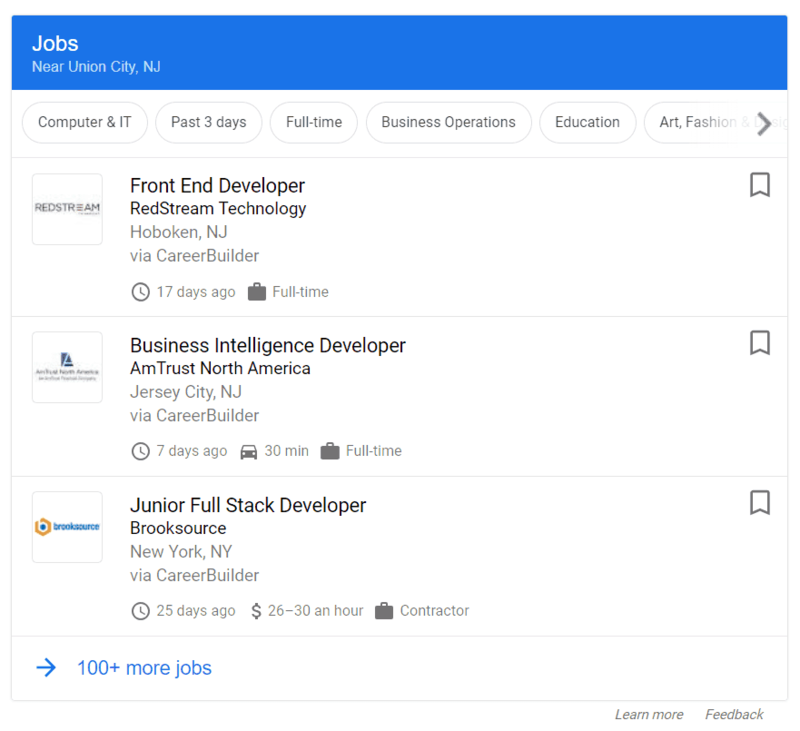 Job postings listed right in Google search take up a lot of real estate and feature a lot of information for job seekers. To cast as wide a net as possible, make sure to mark up any web pages with job postings. The job posting search feature shows logo, company, position and even when the job was posted and if it’s full time. Importantly, make sure you keep this information up to date to avoid a manual action from Google. If you livestream events, you may be interested to hear that there is a structured data option for livestreams. After implemented, your livestream video feed could show a “Live” badge right on the video card during the time it’s live. When people search for your organization in Google, you want to have a knowledge graph appear. It shows some important information about your organization including the logo. Having schema markup for your logo on your site will increase the chances that a knowledge graph will appear. The Logo schema markup is very simple piece of code (JSON-LD) to implement. First off, this one is only eligible for Google Partners that provide media (think Spotify, Netflix, and the like). If you are in this category, then this structured data markup will streamline searchers ability to experience your songs, movies and other media by initiating the process right in Google Search. A bonus is this also works in Google Assistant (voice search). 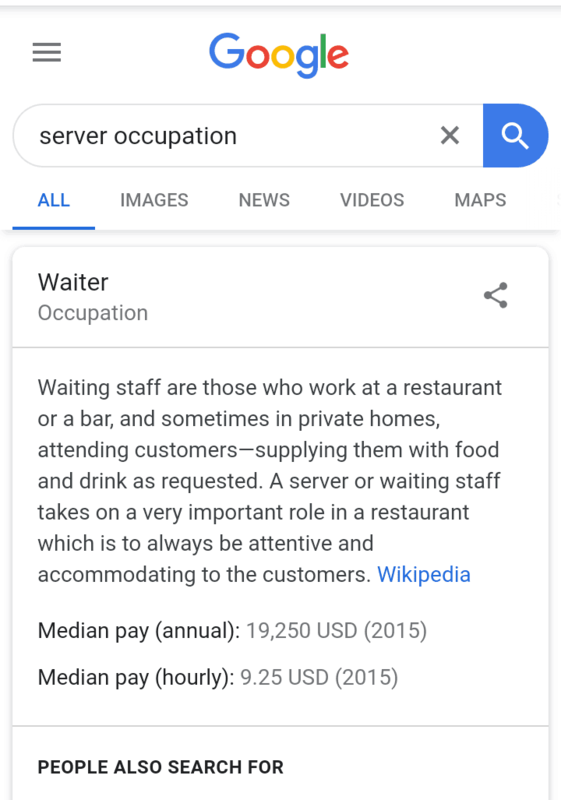 Not to be confused with the Job Posting schema, Occupation is a schema markup that outlines important details of an occupation like salary, benefits, and required education and pops them right into the search results for relevant searchers. Product structured data is a big one. If you are in e-commerce or have product pages on your site, be sure to take advantage of the Product schema markup. 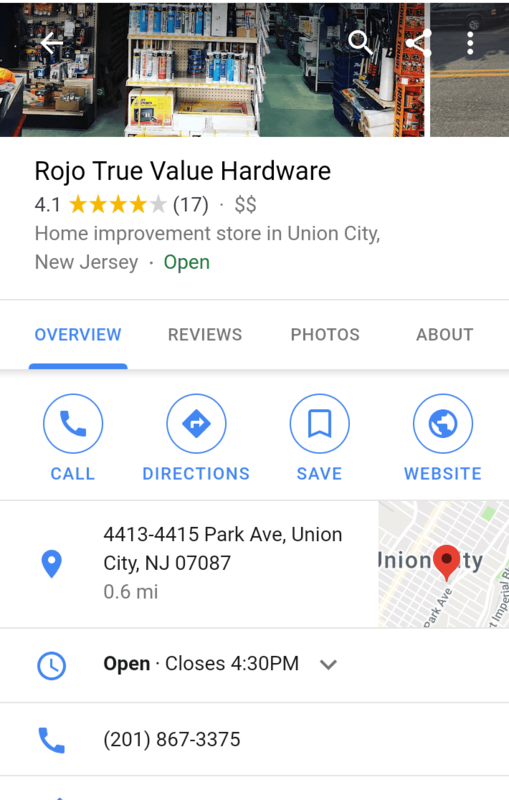 You’ve no doubt seen enriched product listings in Google search results with product images, review stars, and other information like ‘In Stock.’ That’s all due to structured markup. There is a lot of product-related information that you can code into the backend. See documentation for more details. A large percentage of websites have a FAQ section. Other sites like Quora and Stack Overflow host a public exchange of questions and answers. Whatever the reason your site employs a Q&A format, it behooves you to maximize that resource via rich results and schema markup. For example, the best answer can be marked “top answer” directly in search. One downside of this rich result is it may decrease the number of visits to your site if people can get the answer right in search (so that is a cost/benefit decision you have to make for your particular situation). One of the most popular and widely used structed data types is Recipe. And it’s clear why: by adding structured data to your recipe pages, you become eligible for some significant and conspicuous rich results. Recipe markup can lead to an image of the dish, rating stars, cooking times, instructions and more. You could especially see a lift on mobile. By implementing Recipe schema, you’ll increase your chances of showing up in the mobile recipe carousel which can boost search presence (and traffic) quite a bit. Furthermore, Recipe schema can help your recipe surface in Google Assistant queries as well! One of the most Googled questions about schema/structured data has to be “How do I add rating stars to my Google search results?” Well by now you should know the answer is schema markup. 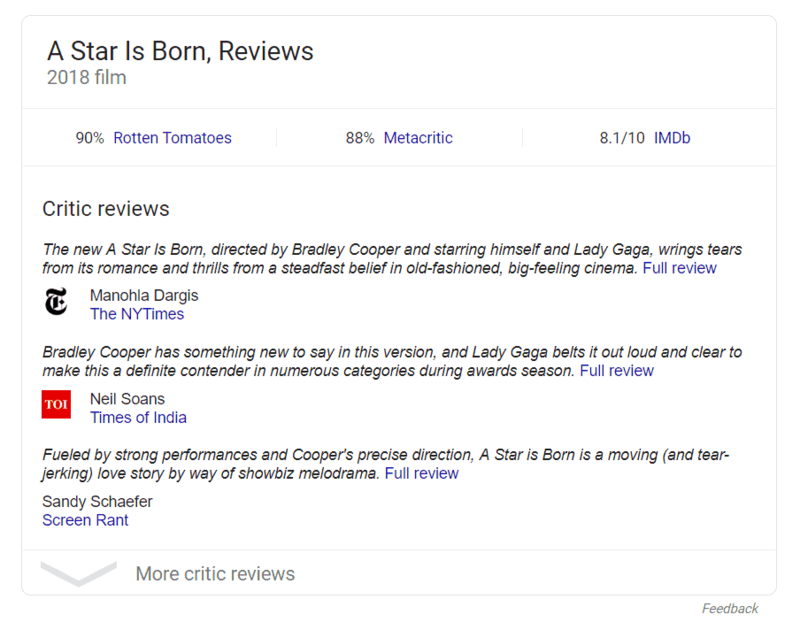 Review schema can show rating stars, number of reviews, as well as an excerpt of the content. This information can show up in the traditional search results or Knowledge Cards. Ratings should be of the following items: local businesses, movies, books, music, and products. Sitelinks searchbox is a bit meta. This schema allows users to search your site right from Google search. After someone searches a term in the searchbox, one of a couple of things can happen based on how it’s set up. If you use Google search, then Google will search that phrase within the content of your website and return the results in another Google search (similar to the site search operator if you’re familiar). However, you can set up the Sitelinks searchbox schema such that it leads to a search on your own site using your own search capabilities (like those available in WordPress, for example). That’s cool stuff. 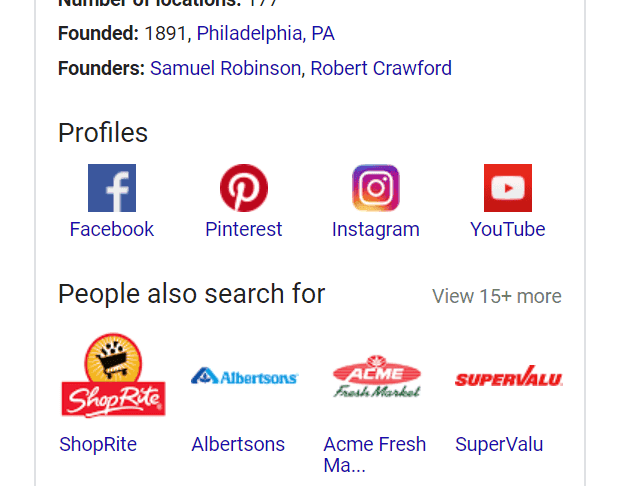 This one is straightforward: use schema to add social media profiles like Facebook, Twitter, etc to the Knowledge Graph (that big info box that often shows up to the right of search results with organization details). This is similar to the logo example we covered above. Google will only display the following social media platforms in search: Facebook, Twitter, Google+, Instagram, YouTube, LinkedIn, Myspace, Pinterest, SoundCloud, and Tumblr. 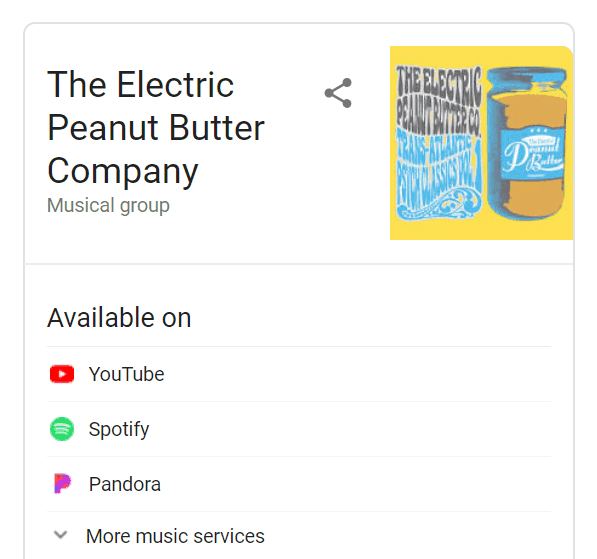 If you have an app or software product, consider implementing the Software App schema as Google is experimenting with adding this structured data to search results. The information is similar to product schema and can show an image, aggregate ratings, and price right in Google. With voice search and voice SEO hot trends, the Speakable schema markup is set to become increasingly popular over time. 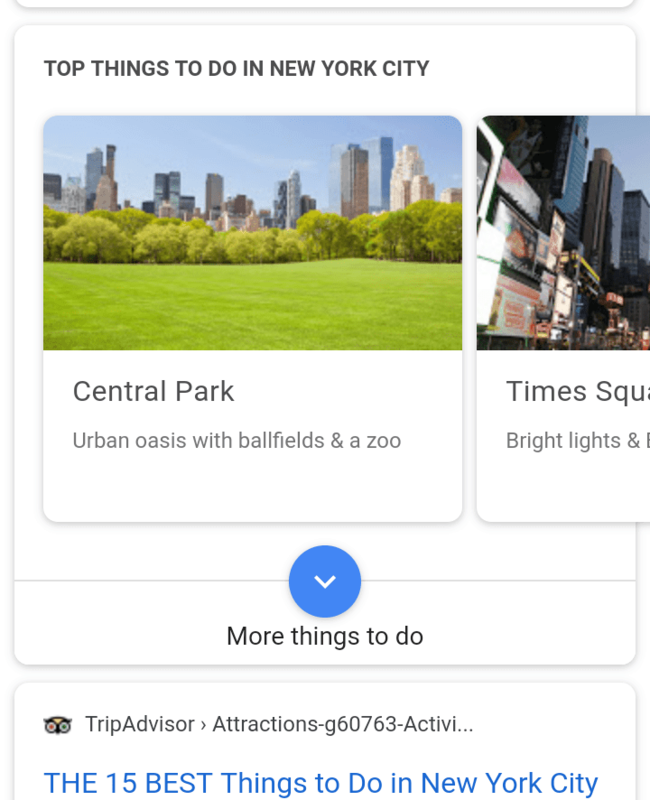 Information entered with this structured data form can be read on Google Assistant-enabled devices using text-to-speech (TTS). A nice bonus is that Google attributes the source of information (your site) and will send the full url to the mobile device. If certain information is behind a paywall (like a New York Times article, for example), then Google does not show that information as an option in search as if it were freely available to all. To maximize the chances that you stay in Google’s good graces and are not be accused on nefarious tactics like cloaking, employ the subscription and paywalled content schema. This will make it transparent what is and is not available publicly and free versus content only for paid users. Top Places List schema is perfect if you write listicles about places like top restaurants or top attractions. If you markup your content accordingly, your article could be shown if someone is searching for that topic or a subject of your articles, like one of your top restaurants. Google only shows list results from “authoritative publishers” so if you just launched a blog, this may not make sense at first. Maximize the search presence of your videos by adding Video schema markup. Using structured data, you can add details such as description, thumbnail, duration, and more. 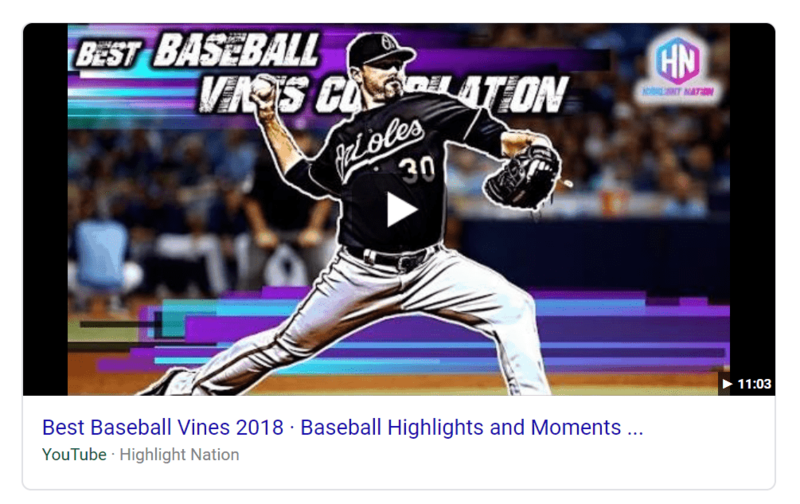 This will, most importantly, make your video eligible to appear in the prominent video carousels as well as a video badge for mobile results.